… while further destroying endangered woodland caribou habitat. …As if some sinister alien force came to Alberta and began to destroy and fragment caribou habitat …. Alberta has attempted to address the recovery of woodland caribou populations repeatedly over the past 30 years (plans were produced in 1986, 1993, 1996 and 2005). Most of these recommendations were shelved and summarily forgotten. None of the Province’s efforts to date have provided meaningful protection to caribou habitat or populations, and caribou numbers have continued to decline. Oil, gas, timber, and recreation activities—the core cause of caribou decline—have continued and accelerated over the past 30 years. As a result, in spite of these studies and recommendations, caribou vanish from the landscape as industrial and other activities carry on as though government doesn’t give a damn. And, clearly, it doesn’t. It is illustrative that in adopting the Alberta Woodland Caribou Recovery Plan 2004/05 to 2013/14, the Ministry specifically rejected the Plan’s central recommendation (in Section 7.2) of a “moratorium on further mineral and timber allocations on specific caribou ranges,” thus ignoring the most essential component of caribou recovery. A four-year study led by Samuel Wasser, director of the Center for Conservation Biology at the University of Washington found in 2011 that the caribou in the area were more threatened by habitat loss because of oil and gas development than they were by wolves. 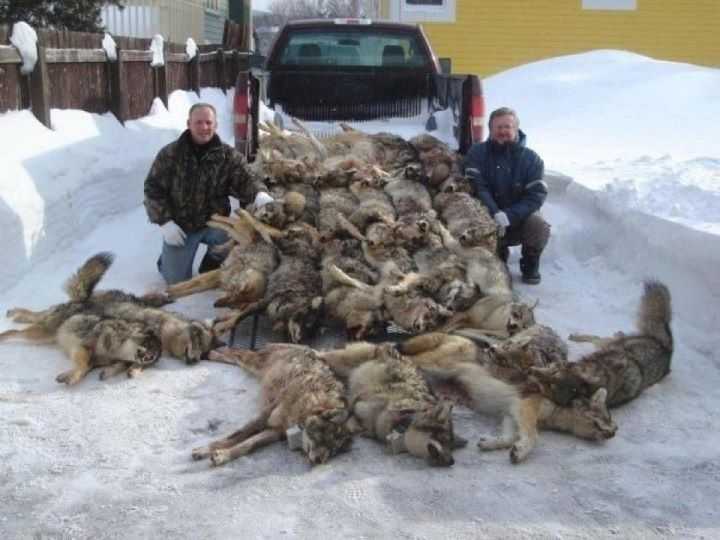 Between 2006 and 2011, the government of Alberta spent more than $1 million poisoning wolves with strychnine and shooting them from the air. Currently there are dozens of current or approved OILSANDS PROJECTS within caribou ranges with many more on the drawing board. This senseless slaughter must stop and we from European Wilderness Society supports this call. The senseless, cruel, ineffective and smoke-screen of wolf killing must stop immediately. The Province must suspend leasing and other resource extraction leases and permits in caribou habitat until an effective caribou recovery plan is put in place and resource operators commit to caribou recovery. New regulations must be developed and implemented to ensure current operations do absolute minimal damage to caribou and other wildlife habitat. Linear disturbance in caribou habitat must be minimised. Select access routes must be shared by operators and un-used routes rehabilitated immediately. The Alberta Woodland Caribou Recovery Plan must be implemented in its entirety immediately, with annual progress reports (preferably by an independent professional third party) provided to the people of Alberta. Alberta will never be able to claim it’s oil is not dirty when it is covered in blood. Premier Jim Prentice’s 4th government priority is, “Establishing Alberta as an environmental leader.” (http://alberta.ca/premier.cfm) Please tell him this is NOT environmental leadership. Inflammatory is a strong word, but in fact some of us lived in Canada close to 15 years and some even did research in Alberta, Saskatchewan and British Columbia. So we not only know the country quite well but also the political lobbying system, the current focus on fossil fuels and the lack of environmental concern. As a case in point, please visit the Museum of Technology in Ottawa and see how skewed the exhibits towards fossil fuels are. Nevertheless, time will tell on whether the strategy of exploiting fossil fuels or building on alternative energy form will benefit our children or leave them a burden that they will hate us for. We strongly believe that it the idea that Nature and Wildlife needs human management is one of the misconceptions of our understanding of our role in the worlds evolution. YOur example of the exploitation of tarsands is such an example. Tarsands are one of the most dangerous methods of obtaining C0″ rich fossil fuels at a time where alternative energy forms are abundant and often even cheaper. We understand that his notion is not appreciated in Alberta simply because so many jobs and welfare hinges on the tarsands, but this wealth is very short term and undermines the chances of the children of the current workforce to live in a world without the immense costs of climate change… Europe is here already one step further not because we are smarter but simply because we suffer from climate change already immensely. The flood prevention costs, the rising of the ocean water levels in coastal regions, the lack of cold winters and the collapse of the ski-industry, the influx of alien species from warmer climate regions into the former colder north and so on, has led us to follow a route using windmills, solar power and hydro power to compensate the reduction in oil and coal firing power plants. In case you follow the european press, read up on the dramatic move of the largest power company shedding itself from all fossil fuel power plants simply because they can not be run anymore in a cost effective manner promising its stakeholder profits. It is only a matter of time until this movement will swap to Canada and the US, but you can bet your pension fund that it will. It would therefore be prudent to invest the current profits from the tarsands into financing the next generation power producing technology in Canada. A good example what can happen if this is not done can be seen in the collapse of the steel industry in Pittsburgh and the car industry in Detroit, the heavy industry in Germany in the Ruhrvalley and soon the oil industry in England. Obviously this is a discussion of currently opposing views and time will tell which side will win the argument, but we invite you to Europe to take a look on how we already in Germany are replacing ALL of our nuclear power plants and soon fossil power plants with energy won from windmills and other alternative energy sources. Lets talk! selbstverständlich freuen wir uns über jeden Unterstützer für die Erhaltung von Wildnis und Ihren Mitbewohnern. Wir werden Ihre Unterlagen auf Evidenz halten und sofern wir ein Projekt oder Auftrag haben, wo Ihre Kompetenz hilfreich wäre, sie gerne kontaktieren. I support the efforts of the Alberta Wildlife Ministry to Manage gray wolf populations in their province. All wildlife species require management and the wolf population in Alberta is healthy. All steps to limit oil and gas exploration in Alberta should be carefully monitored and where necessary be strictly limited. What a load of inflammatory and unfactual nonsense. Do you people even live in Alberta?